The Banff Mountain Film Festival is the largest, and one of the most prestigious, mountain festivals in the world. Hot on the heels of the festival held every autumn in Banff, Canada the Banff Mountain Film Festival World Tour hits the road. With stops planned in about 550 locations across 45 countries around the globe, this year’s tour features a collection of the most inspiring action, environmental, and adventure films from the festival. From approximately 360 films entered into the annual festival, the world’s best mountain films are chosen to travel the globe. 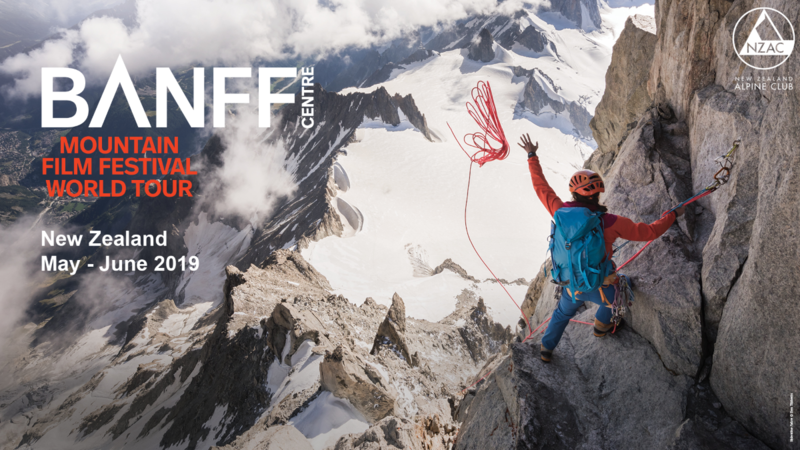 The New Zealand Alpine Club is the proud NZ host of the Banff Mountain Film Festival World Tour, bringing the spirit of outdoor adventure to screenings around the country. The NZ Tour is the Club’s largest fundraiser with all proceeds from the Tour going towards supporting the Club with a range of programmes like the upgrade of Club Section gear, such as helmets and crampons for use on NZAC beginner instruction courses, Club hut maintenance, volunteer development, supporting youth climbing in the Dunedin Section and the installation of new boulder mats for the North Otago Section, plus much more. Be the first to know once your local screening details are confirmed. By subscribing you agree to occasionally receive emails from the NZ Alpine Club about upcoming events and promotions, which you can opt out of at any time.